Is “Unconfirmed” Insurance Enough to Justify a Traffic Stop? While conducting surveillance on an illegal immigration investigation, Homeland Security agents saw a vehicle leave a residence suspected of harboring undocumented immigrants. The agents notified local police officers to be-on-the-lookout for the vehicle. While on patrol, an officer began to follow the defendant’s vehicle because it matched the description of the vehicle from Homeland Security. While following the vehicle, the local officer entered its license plate number into a computer database designed to return vehicle information such as insurance status. 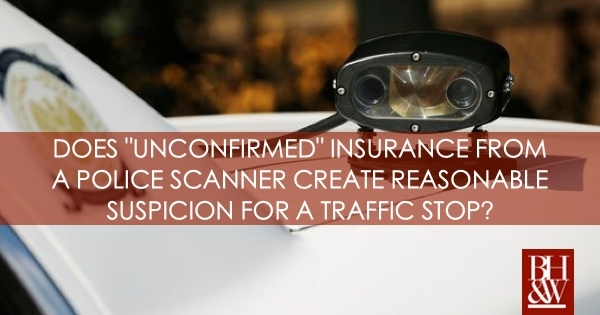 The computer indicated the insurance status was “unconfirmed.” Based on his experience using this system, the officer reasoned that the vehicle was most likely uninsured, which is, of course, a violation of Texas law. The officer then conducted a traffic stop of the vehicle and learned that the defendant was in the United States illegally. The officer issued the defendant citations for violating the insurance requirement and driving without a license while he waited for the Homeland Security agents to arrive. Defendant Challenges the Stop, Arguing that the Officer Lacked Reasonable Suspicion. The United States government charged the defendant with conspiracy to harbor illegal aliens. The defendant argued that the “unconfirmed” insurance status obtained from the state computer database did not provide the officer reasonable suspicion to stop the defendant. The trial court was unconvinced by this argument. The 5th Circuit Court of Appeals recognized that it had not yet addressed whether a state computer database indication of insurance status establishes reasonable suspicion as a matter of law. However, the court commented that the Sixth, Seventh, Eighth, and Tenth Circuits have found that such information may give rise to reasonable suspicion as long as there is either some evidence suggesting the database is reliable or at least an absence of evidence that it is unreliable. In this case, the court followed the other circuits that have decided this issue and held that a state computer database indication of insurance status may establish reasonable suspicion when the officer is familiar with the database and the system itself is reliable. 5th Circuit Upholds the Stop, Finding that “Unconfirmed” Insurance Creates Reasonable Suspicion. Here, the court found that the officer’s testimony established the reliability of the database. First, the officer explained the process for inputting license plate information. Second, the officer described how records in the database are kept and stated that he was familiar with these records. Finally, the officer testified that based on his knowledge and experience as a police officer, he knows a suspect vehicle is uninsured when an “unconfirmed” status appears because the computer system will either return an “insurance confirmed,” or “unconfirmed” response. As a result, the court held that the officer had reasonable suspicion to stop the defendant. did not initially respond as to whether he was armed. Further, the Court stated it is not per se objectively reasonable for a police officer to execute a pat down of a suspect for weapons simply because they are accused of drug possession. When another officer arrived, the officers made contact with Furr. Furr was described as nervous, anxious, evasive, and was sweating excessively. Furr did not respond when the officers initially asked if he had any weapons on him. Officers said he appeared “kind of out of it” and “like he was under the influence of a drug. As a result, for safety reasons, officers frisked Furr for weapons and found a glass crack pipe in Furr’s front pocket. When removing the pipe, the officer also found two syringes, and after arrest, two small balloons of heroin. Furr was charged with possession of a controlled substance. He pled guilty, reserving his right to appeal after his motion to suppress was denied. 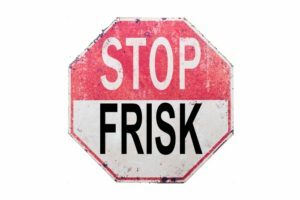 Furr argued on Appeal that officers did not have reasonable suspicion to stop and frisk him and that the trial court erred by not granting the Motion to Suppress the search. The court of appeals held that Furr’s nervousness coupled with the observation that he seemed to be under the influence of a drug sufficiently corroborated the tip to support the investigative detention and that Furr’s failure to initially respond about being armed coupled with the other circumstances justified the frisk. 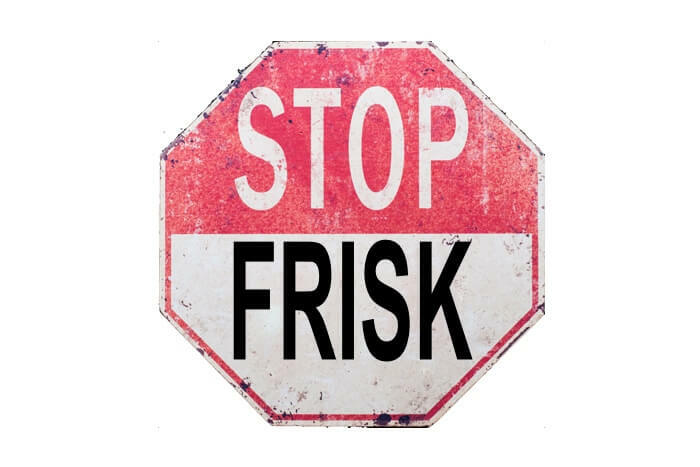 The Criminal Court of Appeals Concluded that there Was Reasonable Suspicion to Detain and Frisk Furr. In order to detain a person, the police officer must have reasonable suspicion based on “specific articulable facts, when combined with rational inferences from those facts, would lead him to reasonably conclude that the person detained is, has been, or soon will be engaged in criminal activity.” Wade v. State, 422 S.W.3d 661, 668 (Tex. Crim. App. 2013). Anything that happens or that is observed before the detention will be considered in determining whether the officer indeed had reasonable suspicion to detain Furr. Furr and the other man were at the specified location and matched the informant’s description. The area was a “high drug, high crime” area. When the officers came upon Furr in the shelter he was sweaty, nervous, anxious, and appeared out of it as if he was under the influence of a drug. Thus, the reasonable suspicion here was not solely based on the informant’s tip, but instead that tip was corroborated by independent observations made by the police officers. Looking at the totality of these circumstances, the Court held that the officers had reasonable suspicion to stop Furr and investigate the information from the anonymous tip that Furr and the other man were using and possessing a drug. The Court rejected the State’s request to adopt a rule that it is, “per se, objectively reasonable for the police to pat down a suspect for weapons if they are accused of possessing drugs,” because reasonable suspicion to frisk a suspect cannot be established by accusations of drug possession alone. The Court further rejects the State’s argument that the officer was objectively justified in patting Furr down for weapons because this was outside of a homeless shelter for two reasons: 1) Nothing in the record shows that the shelter was a homeless shelter; and 2) Even if it was a homeless shelter, the Court does not see a correlation between being armed and dangerous and being at a homeless shelter. Even so, the Court ultimately agrees with the court of appeals that reasonable suspicion was established here because the anonymous tip was corroborated by all of the circumstances surrounding the officers’ interactions with Furr. Specifically, the Court noted the tip, personal observations by the officers and the high drug, high crime area would warrant a belief that the safety of officers and others was in danger. Does an Officer have “Reasonable Suspicion” to Make a Traffic Stop When Vehicle Weaves Inside a Traffic Lane? Eventually, the officer pulled Leming over, noting on the police report, the smell of liquor. Though Leming denied drinking, he said he had taken some prescription pills. Officer Gilow conducted field sobriety tests and placed Leming under arrest for DWI. Read the full opinion in Leming v. State. Before the trial began, Leming filed a motion to suppress the traffic stop, which was denied. At trial, Leming pled guilty to and was convicted of DWI. Because Leming had two prior DWI convictions (a felony under Texas law), the court assessed punishment at ten years’ imprisonment. Tex. Penal Code § 49.09(b)(2). The Sixth Circuit Court of Appeals reversed the trial court’s ruling, holding that the trial court should have granted the motion to suppress. Leming v. State, 454 S.W.3d 78 (Tex. App.—Texarkana 2014). The Sixth Circuit concluded that Gilow lacked reasonable suspicion to detain Leming for the offense of failure to maintain a single lane under Section 545.0600(a) of the Texas Transportation Code. The court reasoned “in order for it to have been unlawful, the encroachment must have been made unsafely; [here,] there was no real danger of his colliding with another vehicle in an adjacent lane.” The State’s Prosecuting Attorney petitioned the Court of Criminal Appeals for discretionary review, arguing that the citizen’s report coupled with Officer Gilow’s observations were sufficient for reasonable suspicion that Leming was driving the Jeep under the influence. The Court of Criminal Appeals had to determine whether a driver must BOTH fail to maintain a single lane AND not change lanes without checking to assure the maneuver can be accomplished safely, before it may be said that a driver has committed an offense. Such an offense would rise to the level of reasonable suspicion for a constitutionally-sound traffic stop. What Does the Texas Transportation Code Say About Driving Within a Single Lane? The CCA Holds that a Driver Must Maintain a Single Lane AND Must not Leave the Lane Unless it is Safe. The CCA explains that the fact that both the requirement to stay within a single lane as for as practical and the prohibition to not leave that lane unless it is safe to do so, originally appeared in the same subsection of the statute, does not indicate that the Legislature intended that both must be violated before an offense has occurred. Rather, the CCA believes that the Legislature intended a violation of EITHER part of the statute constitutes separately actionable offenses. The CCA says that Officer Gilow knew from personal observations, as well as from the citizen’s report, that Leming had some sort of trouble maintaining a steady driving pattern while traveling under the speed limit. “That was sufficient information to justify a temporary detention to investigate whether Leming had actually failed at some point to remain in his dedicated lane of traffic as far as it was practical to do so under the circumstances—it matters not whether that failure was unsafe.” Further, Officer Gilow had an objectively reasonable basis to suspect Leming of driving under the influence. As a matter of principle, the CCA notes, “it [would be] counterproductive and contrary to common sense to set the reasonable suspicion bar for DWI so high that law enforcement must hesitate to investigate such hazardous driving for fear that the stop will later be invalidated.” In a Concurring Opinion, Judge Richardson adds, “I believe [the community caretaking exception] provided justification for the officer’s stop, where, a reasonable police officer—given the totality of the circumstances-would believe [someone] is in need of help.” Dissenting, Judge Keasler stated, “this is a close case…the majority reaches the wrong result by misconstruing the statute and finds reasonable suspicion on the basis of a single insufficient articulable fact.” Judge Newell also dissented in this case. Frequently the public’s perception as to what officers can and cannot do during encounters is convoluted and even wrong. Many people are unaware of what their 4th Amendment rights actually afford them when it comes to contact with police officers. First, it’s important to know that an officer is completely free to approach whomever he wants and have a consensual encounter with someone whether or not he has a specific reason. However, an officer cannot detain you on a simple hunch, the police officer must have reasonable suspicion of criminal activity. Then comes the question of what exactly is reasonable suspicion. According to Fourth Amendment law, reasonable suspicion exists when there are specific articulable facts that, when combined with rational inferences from the facts, would lead a reasonable officer to believe crime was afoot. The police officer must have more than a hunch that a crime was in progress. If a police officer detains, frisks, or searches someone without reasonable suspicion that officer has violated the 4th Amendment and evidence coming from that unlawful detention must be suppressed. In a case just decided by the Court of Criminal Appeals of Texas, the Court overturned a conviction because it found the officer did not have reasonable suspicion to detain the defendant, thus, violating the 4th Amendment. In Brodnex v. State, the defendant was arrested and convicted of possession of a controlled substance. The arresting officer observed Brodnex and a female walking in an area known for narcotic activity around 2 a.m.. The officer approached the two individuals, asked them their names and what they were doing. When Brodnex identified himself, the officer asked him “Didn’t you just get picked up?” and Brodnex replied “Hell no.” The Officer then searched Brodnex and found a cigar tube with crack cocaine. Brodnex filed a motion to suppress challenging both the stop and search. The trial court denied the motion and the appellate court affirmed. The Court of Criminal Appeals of Texas held that Brodnex was illegally detained because at the time of detention, under the totality of the circumstances, the facts apparent to the officer “did not provide him with a reasonable suspicion for the detention.” Therefore, the crack cocaine should have been suppressed. The court’s holding relied on the fact that the officer had simply seen Brodnex walking, not doing anything that would suggest he was engaged or about to engage in criminal activity. Additionally, the court found that the officer’s limited personal knowledge of Brodnex’s criminal history was not enough to support the belief that Brodnex was lying about not being picked up. 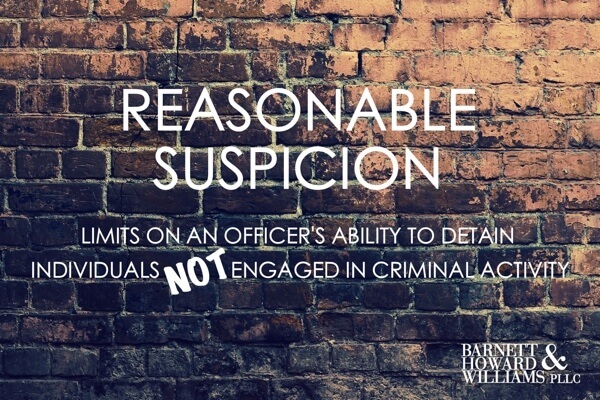 This case explains that the officer must have sufficient information that links the suspect to a particular crime before reasonable suspicion exists. While the time of day and high-crime area are factors that Texas courts consider, those alone are insufficient to develop reasonable suspicion. 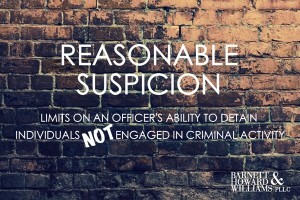 Since reasonable suspicion is based on the totality of the circumstances, it is often not completely clear as to whether a particular set of facts rises to the level of reasonable suspicion. If you are facing criminal charges that resulted from a detention or search that might not have been supported by reasonable suspicion, any evidence found from might be able to be suppressed. Contact our criminal defense team today to discuss your case and determine whether a reasonable suspicion issue is present. *To know your rights on the go, download our FREE Mobile App. Jaganathan v. State: Francheska Jaganathan was driving in the left lane of a three-lane Texas highway, just ahead of a police cruiser. Mounted with a dashboard camera, the cruiser accelerated and changed lanes, but stayed behind Jaganathan’s car. A few seconds later, Jaganathan’s car passed a “Left Lane for Passing Only Sign,” yet her vehicle continued in the left lane despite the middle lane being clear of traffic. About forty-five seconds later, the trooper turned on his overhead lights, and conducted a traffic stop of Jaganathan’s car. During the traffic stop, the trooper smelled marijuana, prompting a search of the vehicle. The trooper found marijuana in the trunk, and as a result, Jaganathan was charged with possession of marijuana. 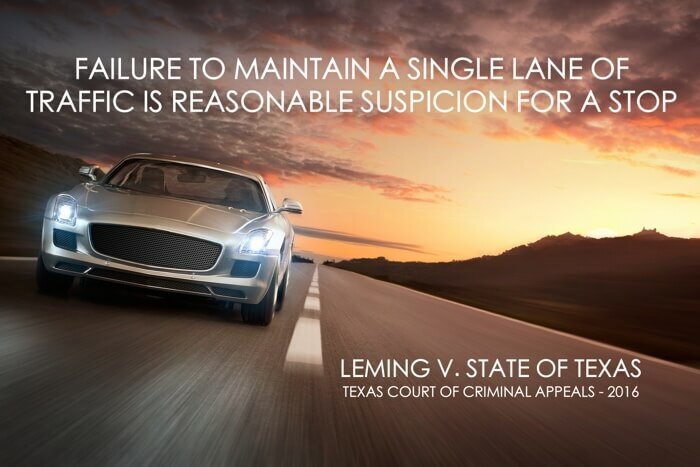 The Court of Criminal Appeals of Texas disagrees with the court of appeals, citing the reasonable suspicion standard in Texas, and the Texas Transportation Code. The Court of Criminal Appeals also clarifies the issue at hand. The issue is not whether Jaganathan committed a traffic offense, but whether the trooper had reasonable suspicion to stop the vehicle. First, “A trooper may make a warrantless traffic stop if the reasonable suspicion standard is satisfied.” Guerra v. State, 432 S.W.3d 905, 911 (Tex. Crim. App. 2014). “Reasonable suspicion exists if the trooper has specific and articulable facts that, when combined with rational inferences from those facts, would lead him to reasonably suspect that a particular person has engaged …in criminal activity.” Abney v. State, 394 S.W.3d 542, 548 (Tex. Crim. App. 2013). Second, “an operator of a motor vehicle [must] comply with an applicable official traffic-control device, including a sign.” TEX. TRANSP. CODE § 544.004(a); § 541.304(1). 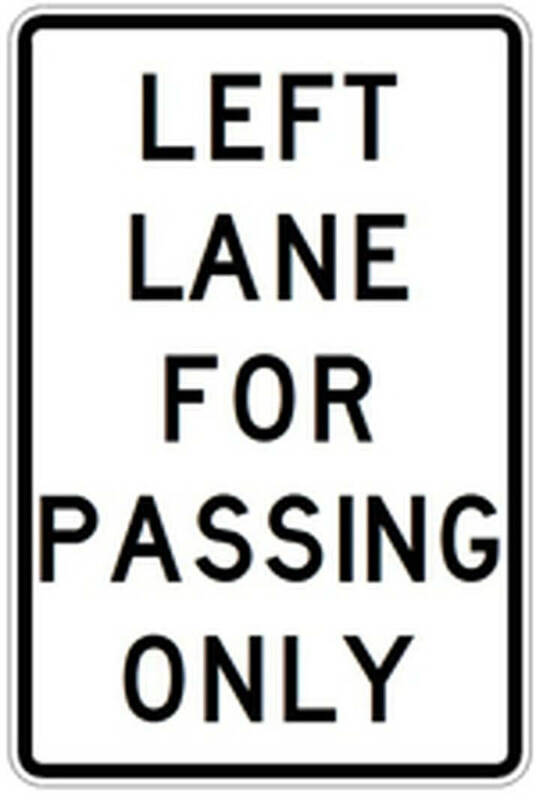 “Before a trooper can have reasonable suspicion to believe that a defendant committed the traffic offense of failing to obey a “Left Lane for Passing Only” sign, the trooper must be aware of facts that support a reasonable inference that the defendant drove past the sign before being pulled over.” Abney, 394 S.W.3d at 549. Here, Jaganathan was driving in the left lane without passing other cars, after driving past a sign that prohibited that conduct. The dashboard camera captured the sign and all of the movements of the car. According to the Court of Criminal Appeals, even if Jaganathan had a defense of necessity—she HAD to be in the left lane for a medical or traffic emergency—the trooper still had reasonable suspicion to conduct a traffic stop. The Court of Criminal Appeals states, “these were only possibilities, and so it was reasonable for [the trooper] to suspect the appellant had violated the law.” Further, the reasonable suspicion standard “accepts the risk that officers may stop innocent people.” Illinois v. Wardlow, 528 U.S. 119, 125 (2000). As a result of the forty-five second traffic violation, the trooper had reasonable suspicion to pull Jaganathan’s car over; and, as a result of smelling marijuana, the trooper was able to search the car without a warrant, resulting in charges against Jaganathan. The Court of Criminal Appeals reversed the judgment of the court of appeals and affirmed the judgment of the trial court. • The Code is unclear on how to comply or not comply with the sign. • The Code does not state a specific amount of time a driver has to pass and merge back into the non-passing lane. • The Code does not address passing a string of cars, in the middle lane. • The Code does not address the need to accelerate to be able to pass, whether intended or unintended (for example if the car being passed speeds up, making passing difficult). • Proving a driver’s intent to pass another car is difficult. If you or a loved one are facing traffic violations or drug charges, please contact our office for a free consultation at (817) 993-9249.